This name uses Spanish naming customs: the first or paternal family name is Txurruka and the second or maternal family name is Ansola. Amets Txurruka Ansola (born 10 November 1982) is a Spanish professional road bicycle racer for UCI WorldTeam Orica–BikeExchange. Born in Etxebarria in the Basque Country, Txurruka made his Tour de France debut in 2007, memorably participating (alongside Pierrick Fédrigo) in a breakaway during Stage 12 that was caught just 1 km (0.6 mi) from the finish line. This effort earned him the red back numbers for most combative rider the next day. He was also indirectly benefited when Michael Rasmussen was withdrawn from the Tour; Txurruka was third in the young rider classification, behind Alberto Contador and Mauricio Soler. 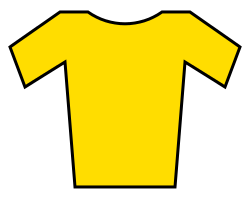 With Contador wearing the yellow jersey as leader of the general classification because of Rasmussen's withdrawal, and Soler wearing the polka dot jersey as leader of the mountains classification, Txurruka wore the white jersey that is given to the leader of the young rider classification. He was also chosen as the most combative rider of whole Tour, being the third Spanish rider in a row (after Óscar Pereiro and David de la Fuente) to earn that award. Txurruka was released by Euskaltel–Euskadi at the end of the 2012 season, and joined Caja Rural for the 2013 season. In the Tour of the Basque Country, Txurruka won both the mountains and sprint classification jerseys after being part of long breakaways for the first three stages. In August 2015 Orica–GreenEDGE announced that they had signed Txurruka on a one-year deal for 2016. 1 2 "Arroyo, Txurruka y Velasco destacan "el ambiente familiar" de Caja Rural y su "ilusión" por 2013" [Arroyo, Txurruka and Velasco emphasize "family atmosphere" of Caja Rural and its "enthusiasm" for 2013]. Biciciclismo (in Spanish). Cycling Total comunicación y servicios S.L. 10 November 2012. Retrieved 4 January 2013. ↑ Peter Cossins. "Txurruka Released By Euskaltel". Cyclingnews.com. Retrieved 2012-09-20. ↑ "Quintana wins overall at Vuelta Ciclista al Pais Vasco". Cycling News. Future Publishing Limited. 6 April 2013. Retrieved 6 April 2013. ↑ Benson, Daniel (2 August 2015). "Orica-GreenEdge pounce to sign Amets Txurruka for 2016". cyclingnews.com. Retrieved 3 August 2015. ↑ "Fraile wins Giro dell'Appennino". cyclingnews.com. 26 April 2015. Retrieved 26 April 2015. ↑ "Ligthart wins Grand Prix La Marseillaise". cyclingnews.com. 1 February 2015. Retrieved 2 February 2015.